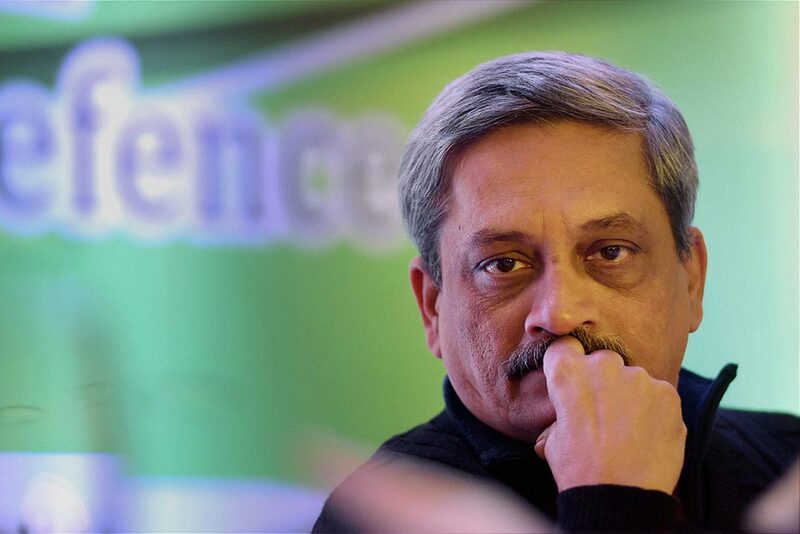 Goa CM and former defence minister Manohar Parrikar died in Panaji. 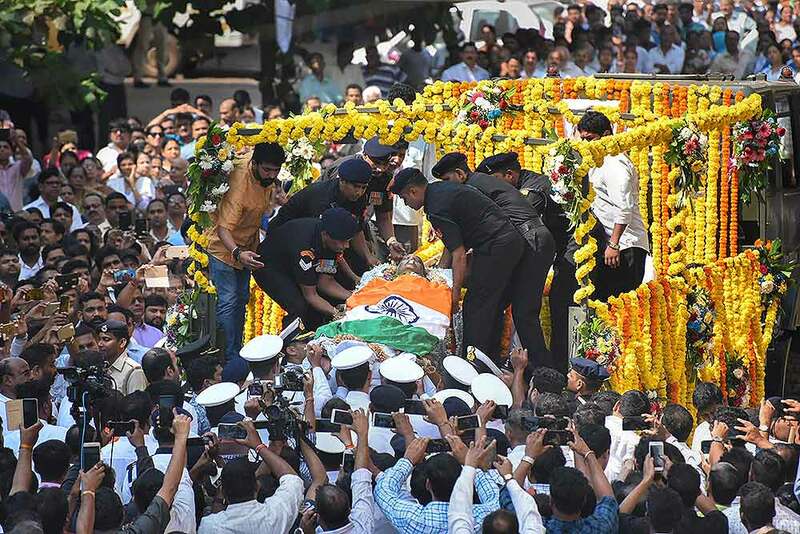 He was 63. 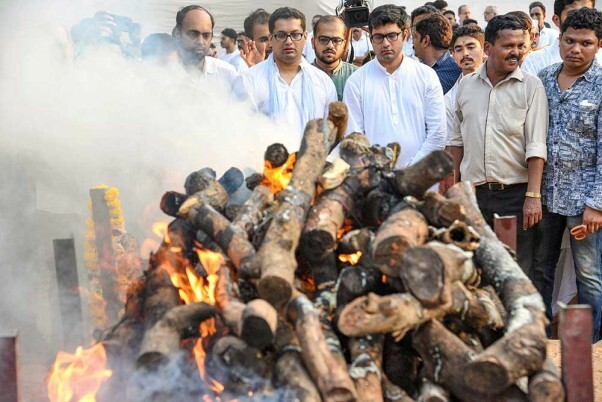 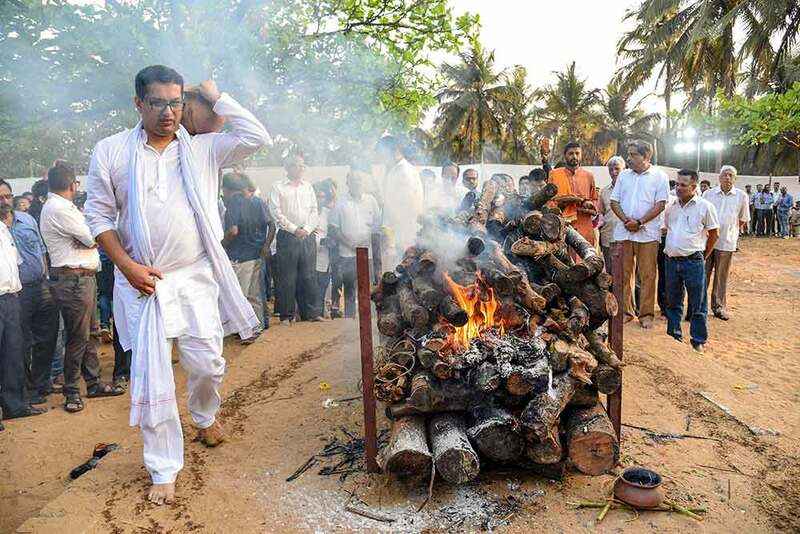 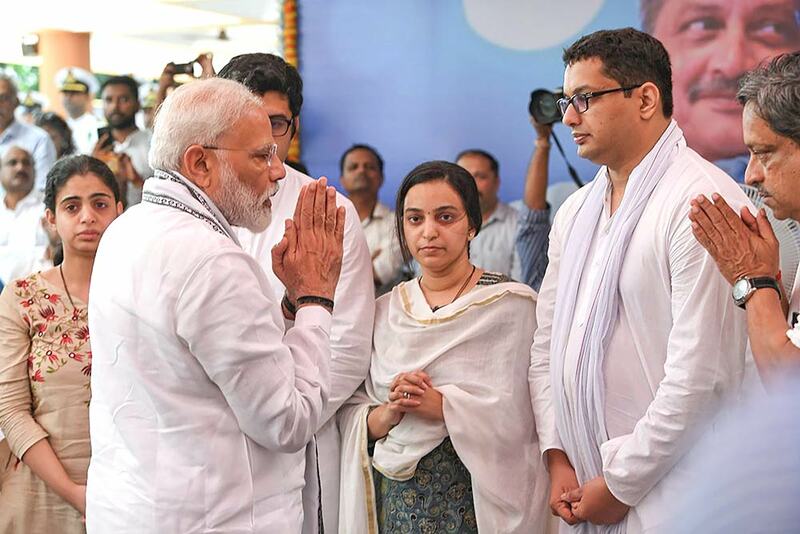 Manohar Parrikar's son Utpal and family members perform the last rites of Goa Chief Minister Manohar Parrikar, who passed away battling pancreatic ailment yesterday, in Panaji. 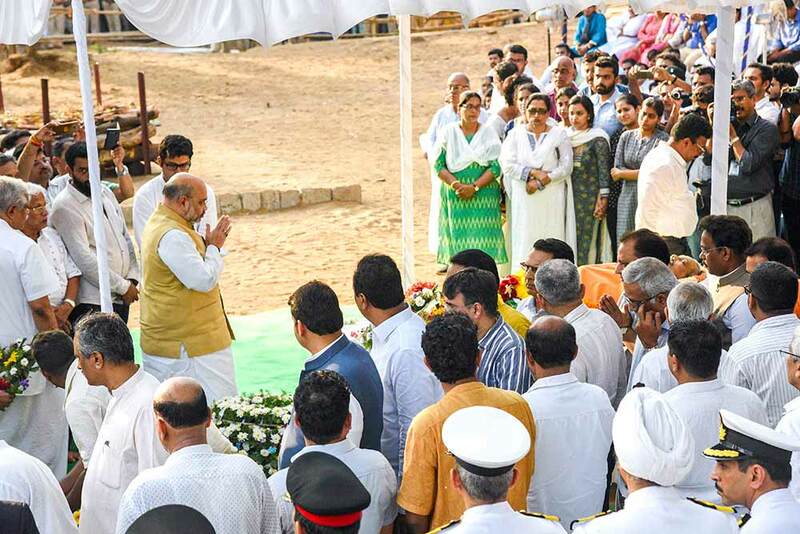 BJP President Amit Shah pays homage to Goa Chief Minister Manohar Parrikar, who passed away battling pancreatic ailment yesterday, in Panaji. 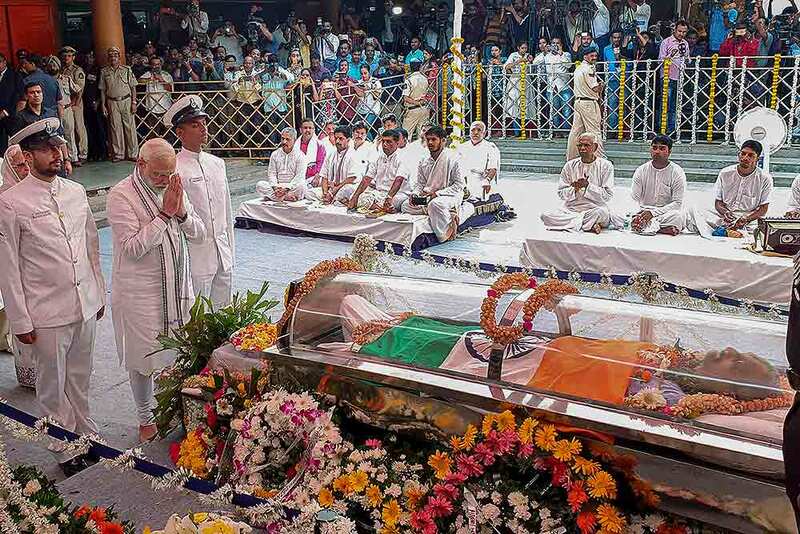 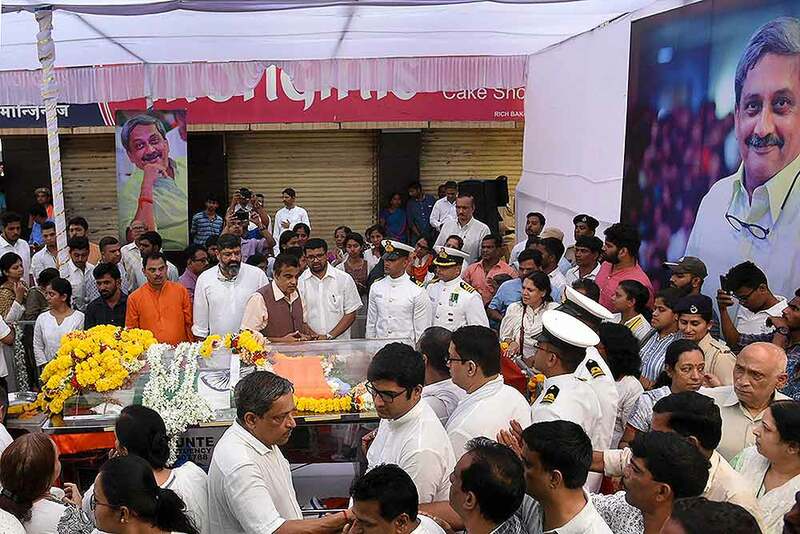 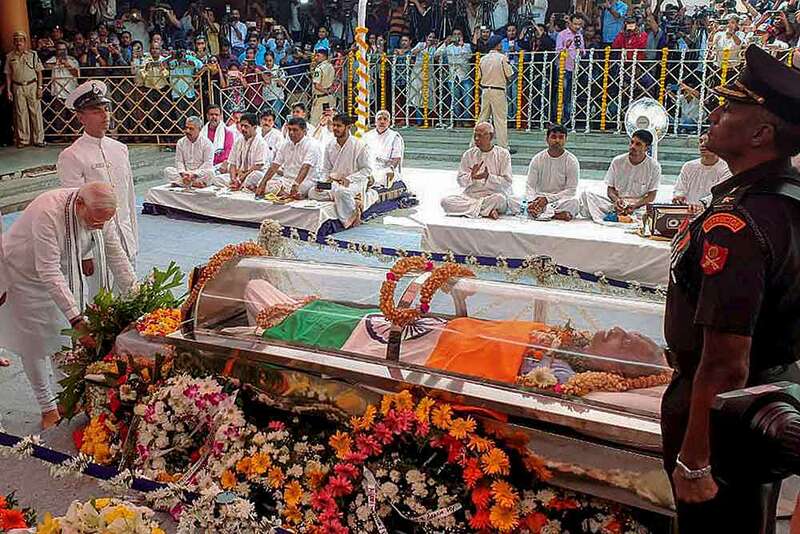 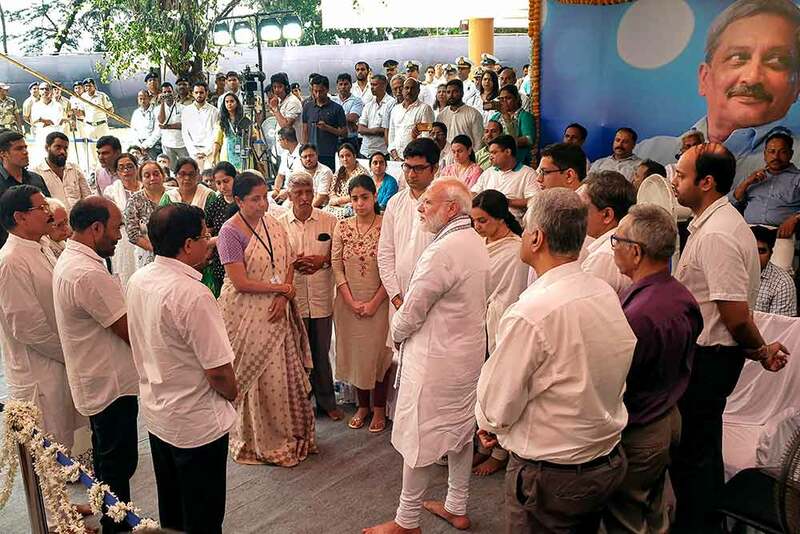 BJP President Amit Shah, Union Ministers Nitin Gadkari, Suresh Prabhu and others attend the last rites of Goa Chief Minister Manohar Parrikar, who passed away battling pancreatic ailment yesterday, in Panaji. 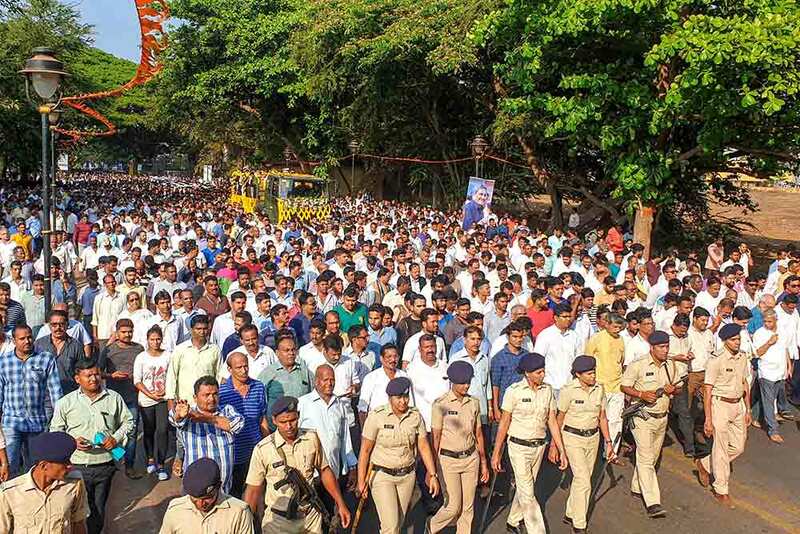 People attend the funeral procession of Goa Chief Minister Manohar Parrikar, who passed away battling pancreatic ailment yesterday, in Panaji. 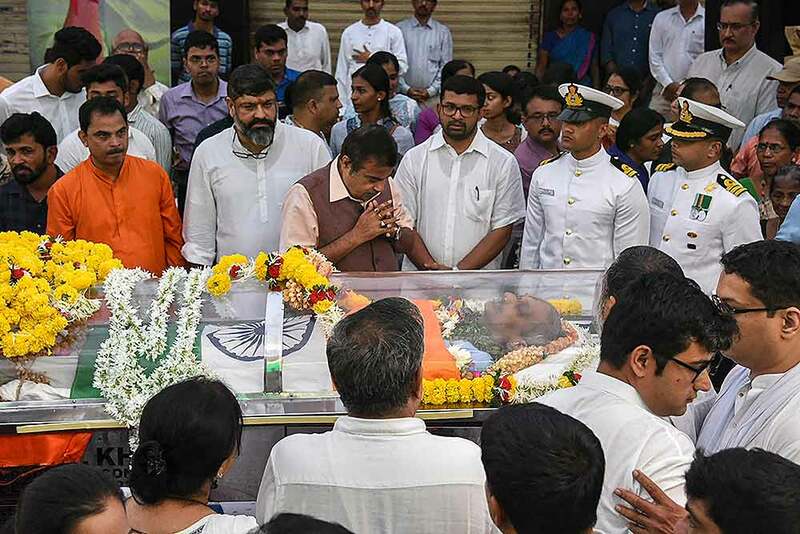 Union Transport Minister Nitin Gadkari pays homage to former Goa Chief Minister Manohar Parrikar, who passed away battling pancreatic ailment yesterday, in Panaji. 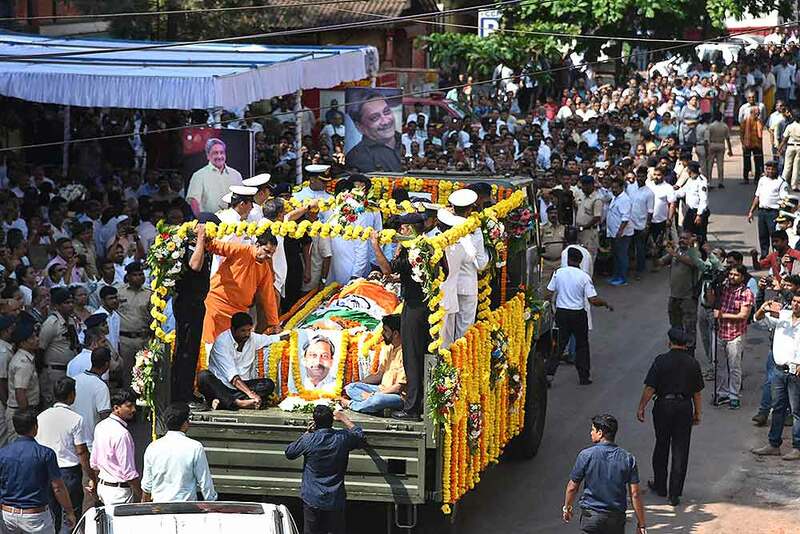 Mortal remains of Goa Chief Minister Manohar Parrikar being taken to BJP office from his residence, in Panaji. 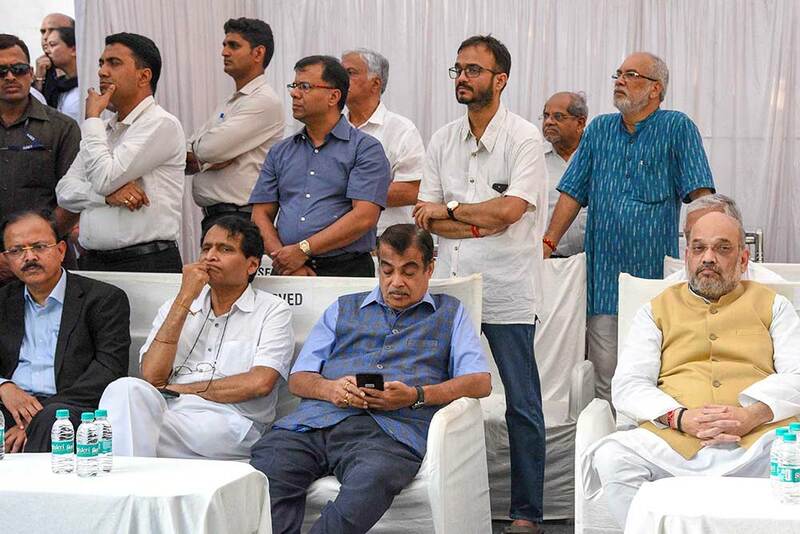 In this file photo, Union Minister Nitin Gadkari and Goa Chief Minister Manohar Parrikar look on during the inauguration event for a 5.1-km long cable-stayed 'Atal Setu' on the Mandovi river in Goa. 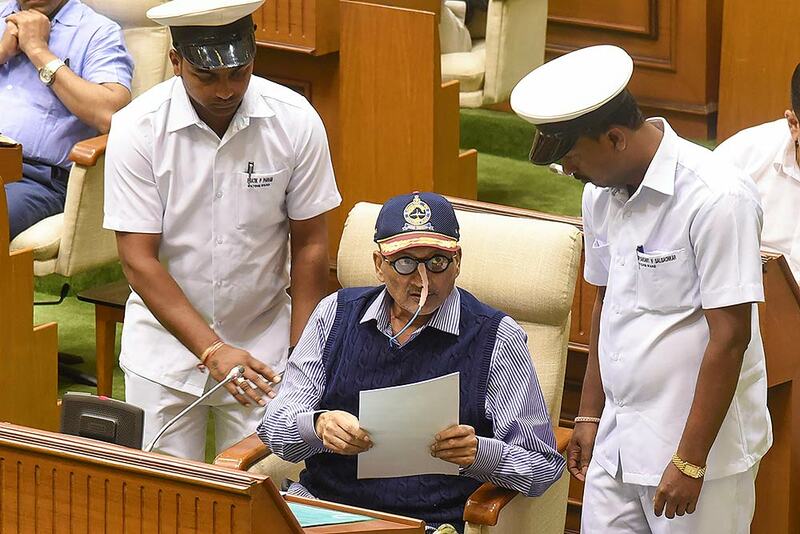 In this file photo, Manohar Parrikar can be seen presenting the state budget in the Goa Legislative Assembly, in Panaji. 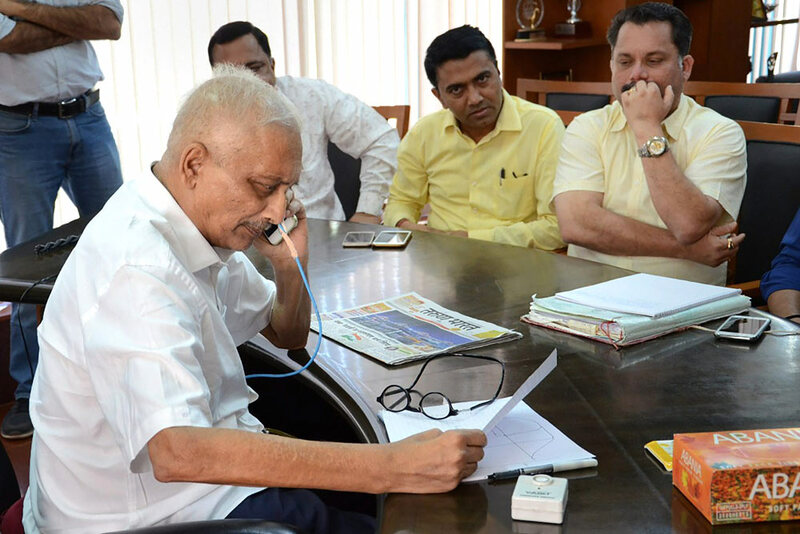 In this file photo, Goa Chief Minister Manohar Parrikar at the state Secretariat in Panaji. 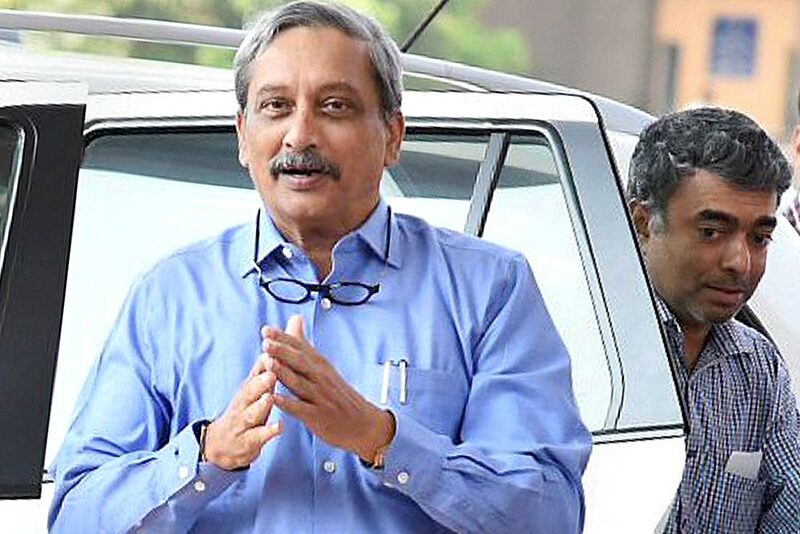 In this file photo, Manohar Parrikar is seen at Panaji airport, Goa. 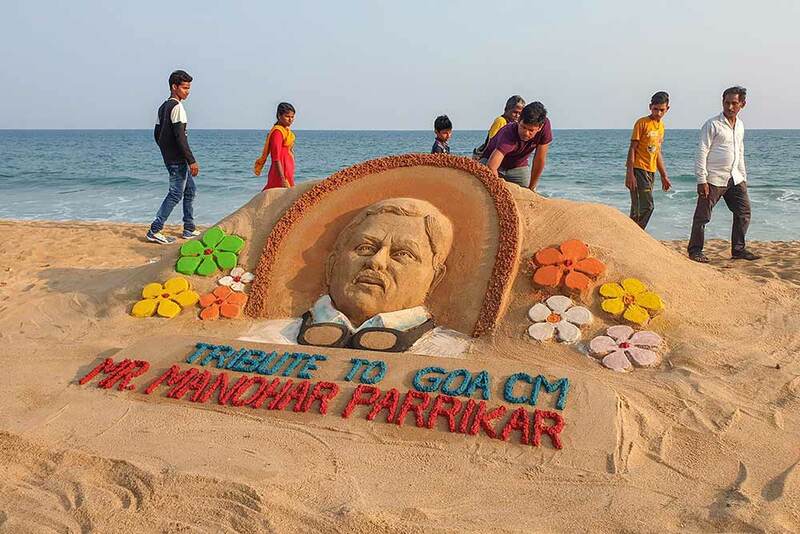 Parrikar had been unwell since February 2018 when he was diagnosed with a pancreatic ailment. 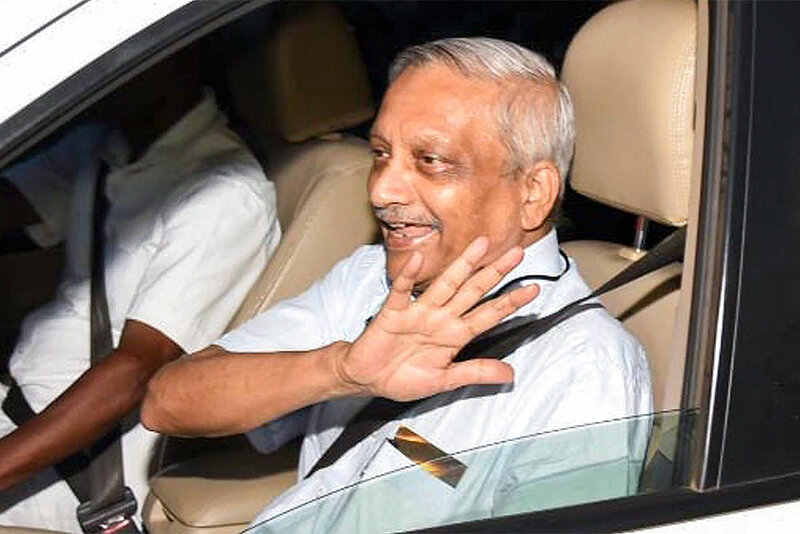 In this file photo, Goa Chief Minister Manohar Parrikar arrives at Goa Legislative Assembly to present the budget after being discharged from a hospital, in Panaji. 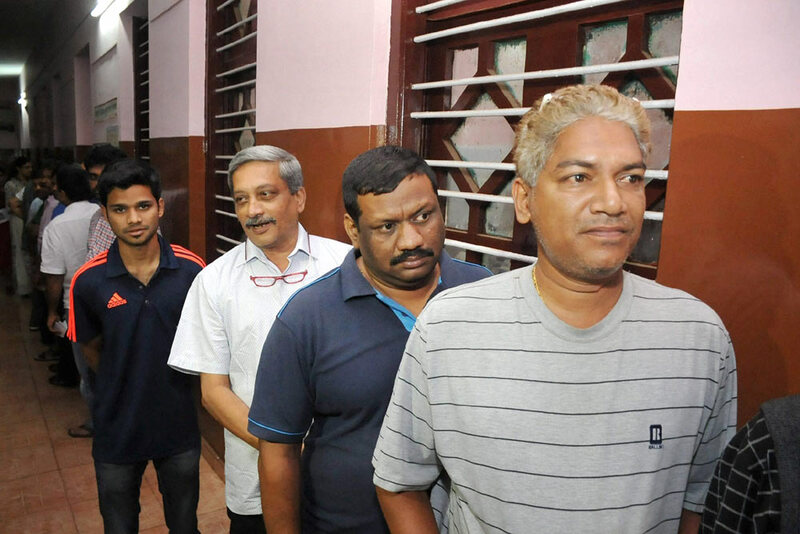 In this file photo, Defence Minister Manohar Parrikar in a queue outside a polling booth to cast his vote, in Goa. 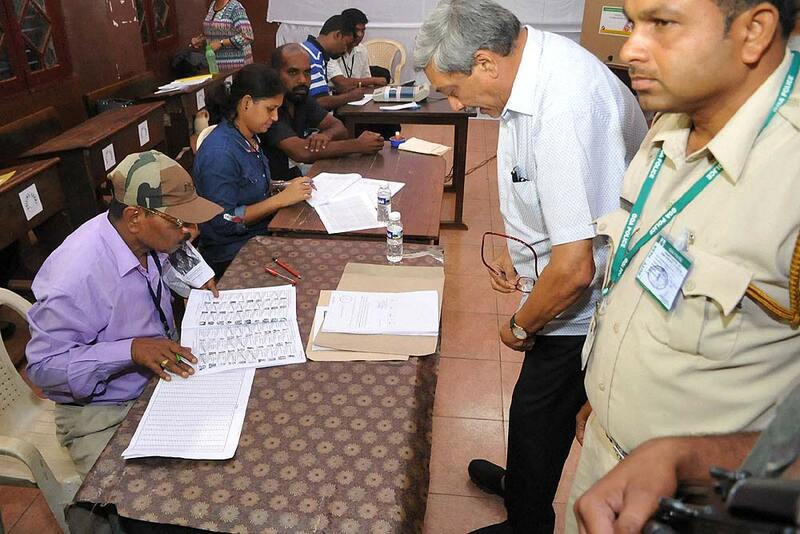 In this file photo, Defence Minister Manohar Parrkar finding his name in the voter list at a polling booth, in Goa. 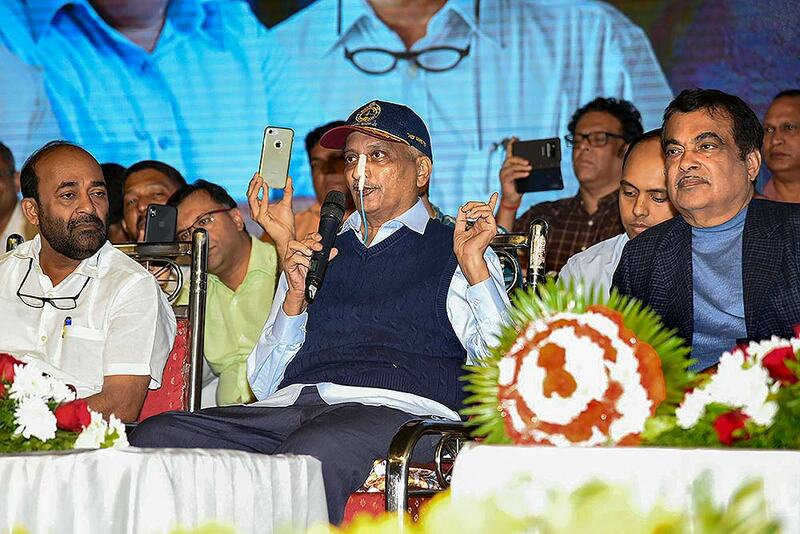 In this file photo, Goa Chief minister Manohar Parrikar congratulating Vinay Tendulkar for being elected as Rajya Sabha member, in Panaji. 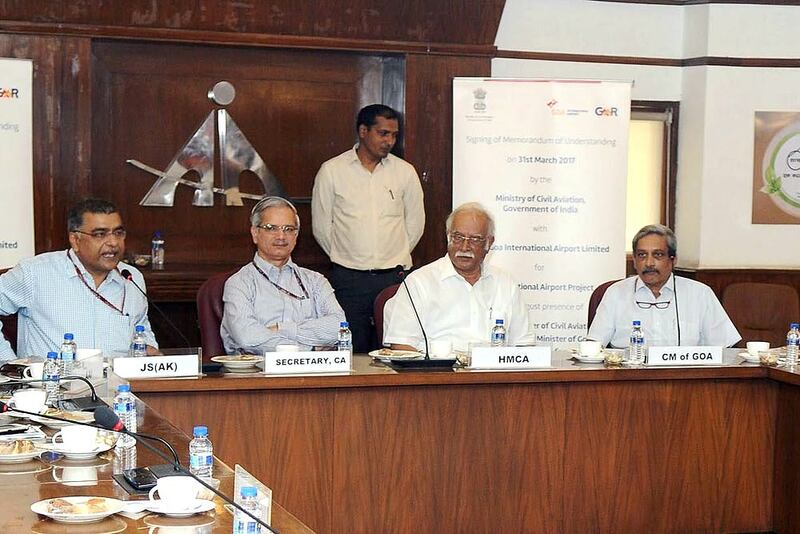 In this file photo, Union Minister for Civil Aviation, Ashok Gajapathi Raju Pusapati and the Chief Minister of Goa, Manohar Parrikar at the signing of memorandum of understanding between Ministry for Civil Aviation and GMR Goa International Airport Ltd. for Mopa Airport project, in New Delhi. 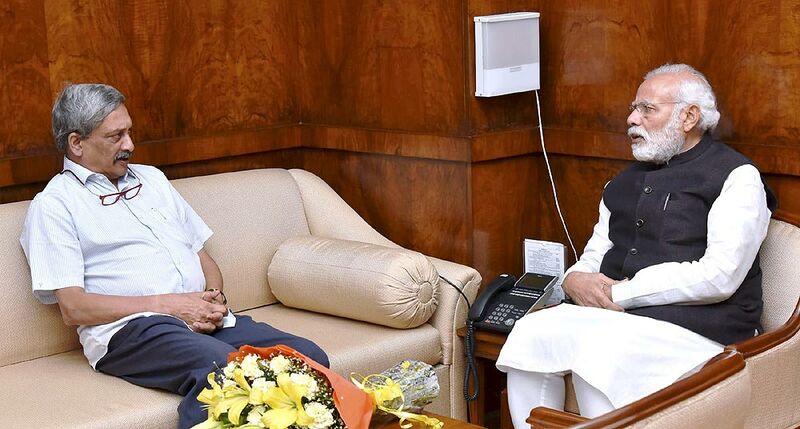 In this file photo, Home Minister Rajnath Singh with Goa Chief Minister Manohar Parrikar at a meeting in New Delhi. 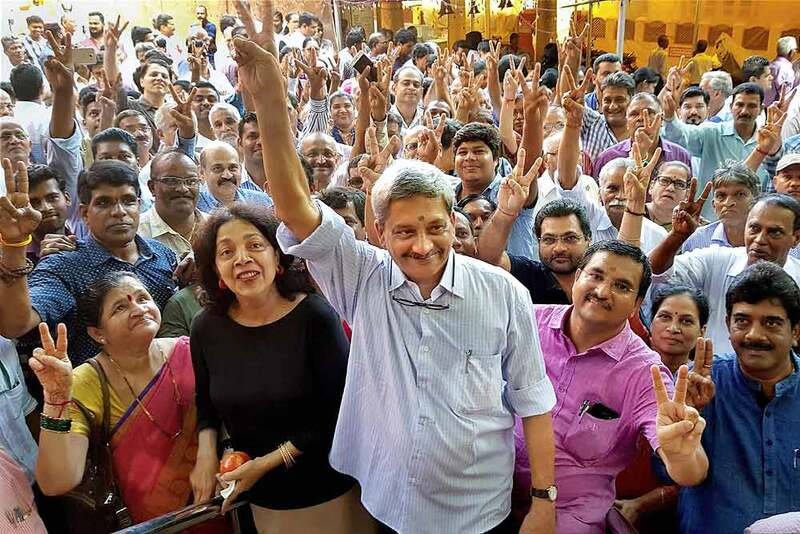 In this file photo, Chief Minister Manohar Parrikar with his supporters on the way to file nomination papers for Panaji seat in Goa. 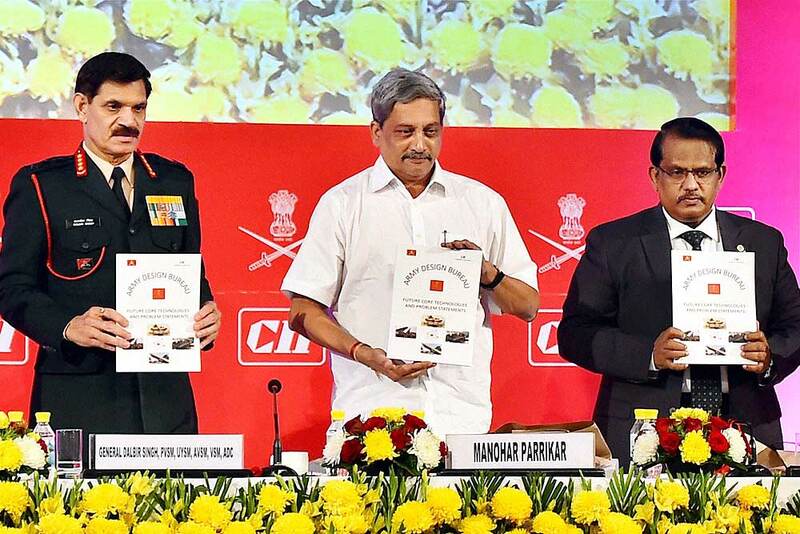 In this file photo, Defense Minister Manohar Parrikar and Chief of Army staff, General Dalbir Singh at the Army Technology Seminar on Common Technologies and Advanced Materials For Land Systems, in New Delhi. 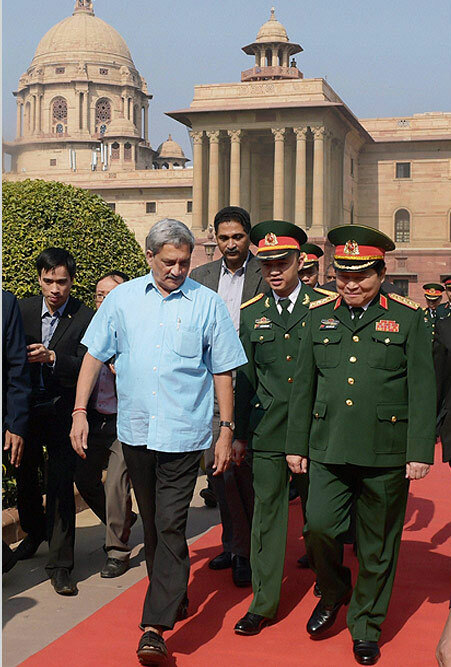 In this file photo, Union Defence Minister Manohar Parrikar with his Vietnamese counterpart Gen Ngo Xuan Lich during the latter's ceremonial welcome at South Block, in New Delhi. 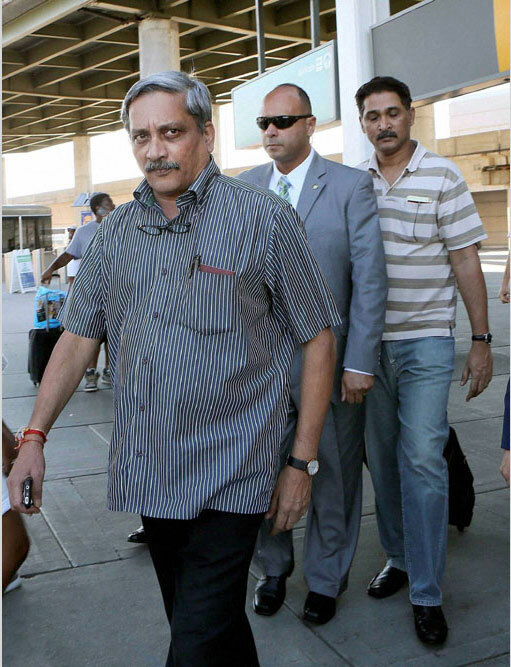 In this file photo, Union Defence minister Manohar Parrikar escorted by Pentagon Officials as he arrives at New Yorks John F Kennedy Airport , enroute to Washington DC. 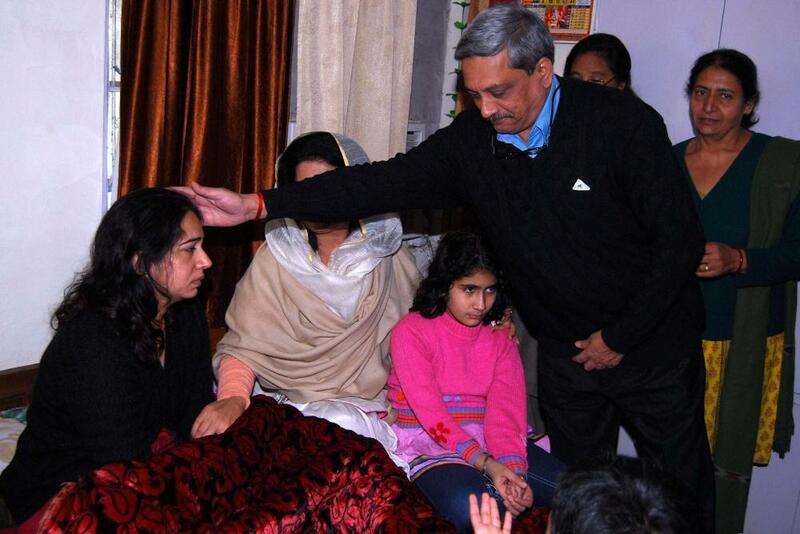 In this file photo, Manohar Parrikar is with family members of late Col Munindra Nath Rai, in New Delhi.